A few weeks ago, my 10-year-old, Dylan, came home incredibly upset. 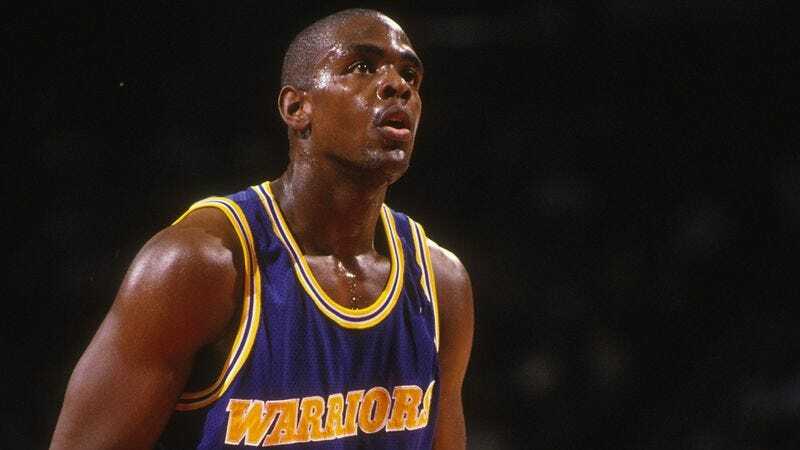 He had been talking to his friends at school, and when the topic inevitably turned to Chris Webber, one of them said Webber was a rare talent who dominated on both ends of the floor. “But I thought you said Chris Webber used his flashy play to mask his subpar defense and court vision,” Dylan said to me when he came home, nearly in tears. What happened to my son is sadly all too common across this country, and it has to change. We need to stop teaching our kids that it’s acceptable to think Chris Webber was a complete basketball player. At the end of the day, if we don’t talk to our children about Chris Webber, they’re going to hear about him at school, where you can’t control how Chris Webber will be discussed. They will hear all sorts of misguided claims about Chris Webber, like that he carried the Sacramento Kings to the 2001 Western Conference Finals—claims that, as adults, we know are untrue, but that kids, who don’t know any better, will believe. No one’s saying that Chris Webber wasn’t a very talented basketball player (I’m certainly not saying that). He was often an offensive threat who could make his own shot. But to go any further than that is to send a confusing and ultimately harmful message to our kids. The NBA and the Kings organization have done little to make discussing this tough subject any easier. Not only did the NBA permit Chris Webber to get selected for the NBA All-Star Game five times, but the Kings retired his number. What kind of message does that send to our children? Any sportswriter who puts Chris Webber on a 2000s All-Decade team is just trying to stir up controversy, and it’s hurting our kids. Would you want your son or daughter to be exposed to an article ranking Chris Webber ahead of the likes of Kevin Garnett, Dirk Nowitzki, and Tim Duncan? I know I’d be very upset if Dylan had to see something like that. Your kids will listen to you when you say that Chris Webber was a good player, but that building a team around him was a consistent recipe for mediocrity. Even if they roll their eyes, they will respect what you have to say about Chris Webber’s overrated abilities and what his rightful place in basketball history should be. It’s not an easy conversation to have, but it’s an important one. I had a long Chris Webber talk with Dylan, and now we both feel better. I urge you to do the same.